Hot-N-Ready Sandwiches. Hot and ready breakfast and lunch options. A great treat when you need something to eat. 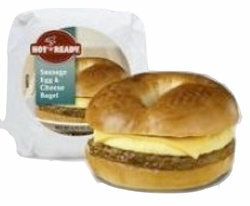 All sandwiches require refrigeration and have a shelf life of 7 days upon delivery. Only available for delivery in the Atlanta area.